Farmers will benefit from new flexibility in water abstraction rules and the ability to trade water between farms to cope with the impacts of the ongoing hot, dry weather. The news comes as the NFU yesterday (August 1) hosted an agricultural drought summit with representatives from Defra, the Environment Agency (EA), Natural England, the RPA and other farming organisations to find short- and medium-term solutions to the challenges currently being faced by farmers and growers. 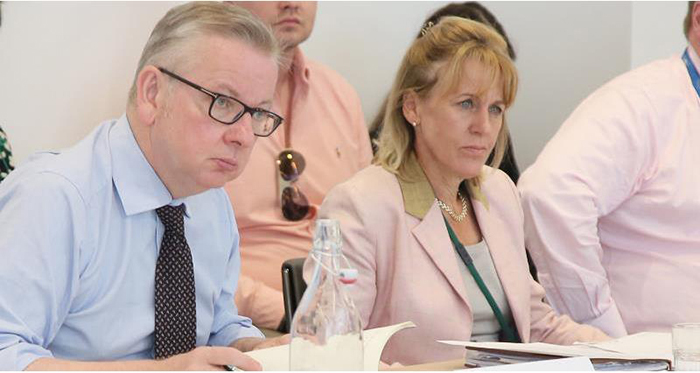 The Secretary of State for Food and the Environment Michael Gove heard first-hand from NFU farming leaders about the serious impacts on each of the farming sectors. These included challenges with irrigation, water shortage, heat stress on livestock, crop loss and a shortage of forage for livestock. The meeting also heard from farming charities, FCN and RABI, that the relentless pressure on farmers dealing with the drought-related issues and significant extra costs is leading to concerns about their mental and physical well-being. NFU president Minette Batters said: “The impacts of the dry and hot weather have been hugely challenging for many farms across the country, with many not seeing such weather in their lifetimes. Ms Batters continued: “We were pleased to hear after the meeting, the Secretary of State said he would do ‘whatever it takes in order to make sure farmers can continue to run successful businesses and that food supplies can continue to be healthy’. The summit also heard calls for more support for the logistics of transporting fodder to those most in need as well as speeding up BPS and Countryside Stewardship payments owed to farm businesses.